Above, the test setup. 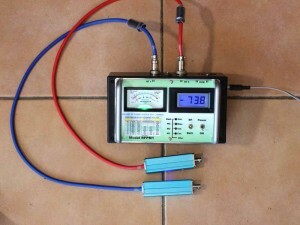 The filter (DUT) is connected between a standard signal generator (SSG), and the RFPM1 connected to the filter output. A DVM recorded the DC voltage on the ‘CAL’ terminals of the RFPM1. 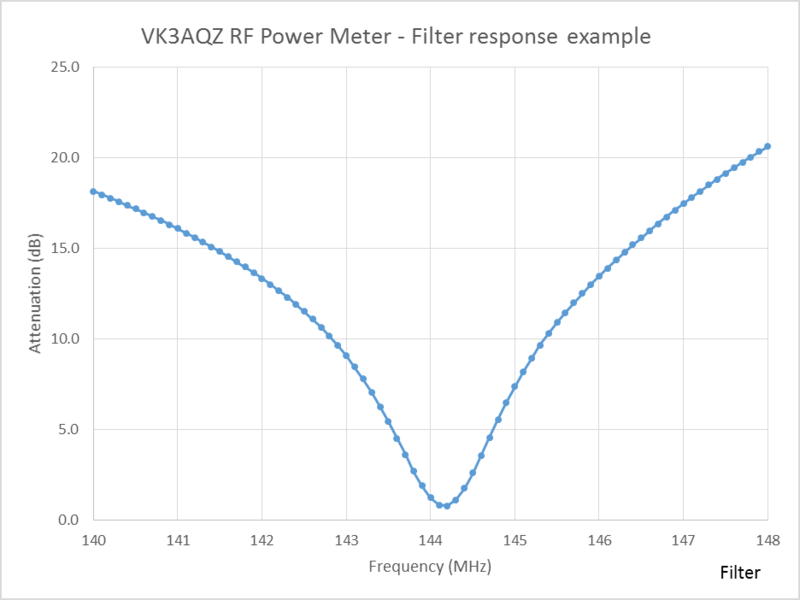 A series of measurements was made from 140 to 148MHz and the results calculated and plotted in Excel. Above, the results of the measurements. In this case, three measurements at each frequency were averaged, and measurements made every 100kHz from 140 to 148MHz, 81*3 or 243 measurements in all using automation, but the same outcome can be achieved by careful manual measurement and recording. 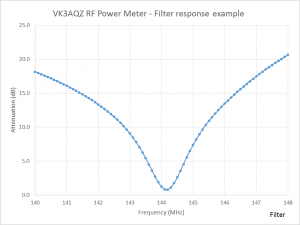 The filter has a midband attenuation of 0.8dB, a 3dB bandwidth of 920kHz, and thefore Q of 156.